The DUOMAX twin monocrystalline module combines high efficiency bifacial cells with a dual glass construction. The DUOMAX twin can convert light that reflects onto the back of the module generating up to 25% more energy. DUOMAX twin's higher energy density means more energy production for the same development costs as standard modules.The DUOMAX twin significantly reduces system LCOE by maximizing energy production. 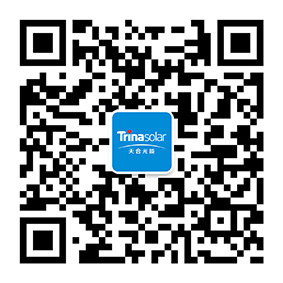 Trina’s Duomax Twin is a new bifacial module, which can convert light that strikes both the front face and the back face of the module into electricity. Under the same conditions, a bifacial module will produce more energy than a monofacial module with the same nameplate power. To receive your free copy of this white paper click here. The heat-strengthened dual-glass design of the DUOMAX twin ensures high performance in harsh environments such as intense humidity and irradiance levels. The unique module construction provide greater protection against PID. DUOMAX twin is less susceptible to micro-cracking module warping UV aging and corrosion from sand, acid, alkali and salt mist. Since bifacial modules absorb solar radiation from both sides, it allows a variety of tilt and installation options. DUOMAX twin is ideal for elevated ground or rooftop installations and can maximize energy production in any environment.